London has long been plagued by pollution, first by coal-fired plants and homes, now from supposedly clean diesel vehicles promoted through government incentives. The city's mayor labels the air quality a public health emergency. 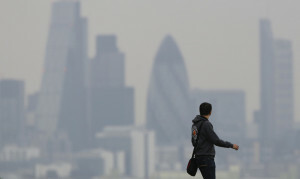 London has long been plagued by pollution, first by coal-fired plants and homes, now from supposedly clean diesel vehicles promoted through government incentives. The city’s mayor labels the air quality a public health emergency.